January ushers in a new look to daytime TV on BBC One and BBC Two filing the void left by the departure of children's TV. From the 14th January, 30 minutes of international news from BBC World News completes a new news hour every morning on BBC Two. Afternoons are given over to sport and archive factual programmes, while some of BBC Two's former afternoon programmes switch to BBC One. In March, the BBC will hopefully hand over the fifth slot on the Freeview HD multiplex to another broadcaster. It advertised the slot as being available from March in a recent advert. 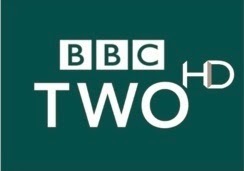 BBC HD is finally expected to turn into BBC Two HD by no later than Easter weekend (29/03-01/04). It's been expected for some time now and an official announcement confirming the exact date is expected very soon. The BBC News Channel will move to New Broadcasting House in March. It's been five years since the last major overhaul of BBC News - one of the longest periods of time in recent history to have gone past without any major changes to the look of BBC News. The BBC will soon find out from Ofcom how it can proceed with its plans to launch a new Freeview HD multiplex in the 600 MHz frequency band. Last year, the broadcaster submitted plans, together with Channel 4 and Arqiva for temporary use of the band for the next 5-6 years. If licensing and infrastructure issues are sorted out, then the BBC can plan to launch (and pay for) up to two new HD simulcast channels from 2014. A reminder that Sky was against any plans to launch any more digital multiplexes on terrestrial TV, it supports the idea that "White Space Devices" should use the vacant spectrum. 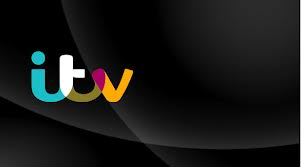 Six years after the last major rebranding exercise, an all new ITV will hit our screens on 14th January with a new look to national and regional news bulletins. 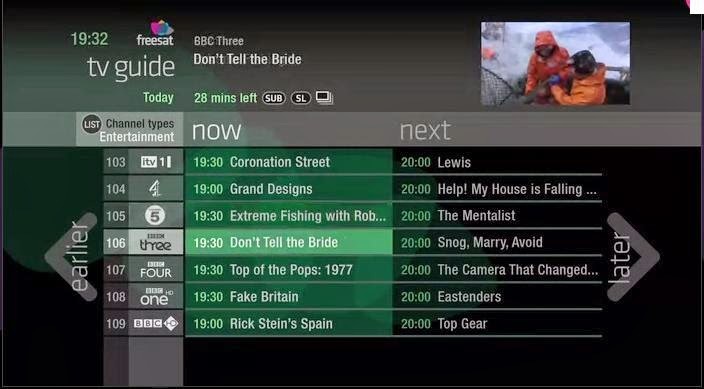 But will more viewers watch ITV? The current daytime schedule looks a bit stale and viewers appear to be tiring of shows such as the X Factor. The old 2006 ITV era is coming to an end with two flagship dramas that launched around the time of the last change, "Wild At Heart" and "Lewis", also coming to an end (Wild at Heart ended last month and the last series of Lewis is currently being shown, although one-offs in the future haven't been ruled out). Will "Mr Selfridge" and more "Downton Abbey" keep the viewers coming in and the advertisers happy? ITV recently reminded us of its past glory in the world of children's programming when it celebrated 30 years of CITV with a weekend of classic children's programmes from the archives. With ITV in negotiations over its licence renewal this coming year, will we see more commitment from ITV for children's TV? Channel 5 will have to provide 600 hours of UK originated children's programmes a year as part of its licence renewal. What will ITV have to offer? And will we see more commitment to regional news as a sweetener? The BBC Worldwide and Scripps Networks joint venture will announce this year what it intends to do with its fourth full time slot on Freeview. The temporary nature of Dave Ja Vu on Freeview channel 25 has been pointed out via on-screen captions, but what station could fill the slot? Will we see a conversion of a pay TV channel, such as Blighty or Eden? Or will we see a brand new UKTV channel? UKTV's non appearance on Freesat has been the subject of a recent petition on the Government's e-petition website. The petition demands that ALL UKTV channels launch as free to air channels because of an alleged entitlement through the licence fee. 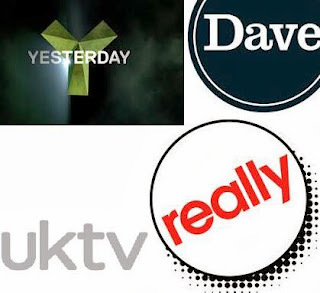 50% of UKTV is owned by the BBC's revenue raising commercial arm, BBC Worldwide. With more "UK spot beam" capacity now available to broadcasters on the satellites serving the UK, the barriers stopping free to air broadcasts with regards the signal overspill into Europe, and into countries BBC Worldwide operates channels in and territories which it sells programme rights to, should be reduced. But with BBC Worldwide only a partner in UKTV and the current UKTV set-up designed to raise extra income for the Beeb, any forced attempt to get the UKTV channels free to air without the safety blanket of Sky's pay TV income may actually lead to some channels being axed- also rival commercial TV operators are hardly going to let channels partly run by the BBC's commercial arm go free-to-air en masse without making a fuss to politicians and key decision makers. The involvement of the BBC in the commercial TV sector has already proved controversial in the past. And Scripps Networks may not be pleased with this - especially if they bought their stake in UKTV in 2011 with subscription revenues included in their calculations. Some of the channels might not be viable in their current state without a paywall around them - would increased advertising revenues offset the loss of subscription income? With BBC Worldwide designed to push profits in the direction of the BBC any loss would not be acceptable, so that channels could actually close rather than go free to air. And the petition raises another issue: BBC Worldwide could still sell its programmes to other broadcasters - the odd BBC programme for example has made its way to other free to air and pay TV channels. 2013 is going to be a big year for Freesat. As viewers start to get concerned about 4G interference on Freeview as next generation mobile services go live using the former TV frequency band, Freesat could provide the ideal alternative TV platform for thousands of viewers. It's Free Time box launched with great fanfare, but users have reported bugs. If these are ironed out quickly and more manufacturers bring Free Time boxes to the market, it could be a best-seller for Freesat. 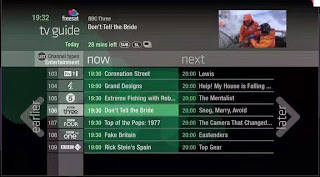 Ex-Sky viewers with a fast broadband connection switching to Freesat - but pining for Sky's top content - might be tempted to add a small Roku box to their TV set up to give them access to pick and choose Sky premium content such as movies and/or sport without having to subscribe to everything else first. The free-to-air satellite platform looks set to see an increase in HD channels this year. RT HD is seen as the most likely candidate to start off with. STV HD and UTV HD are expected to land on Freesat channel 119 in most of Scotland and across Northern Ireland within months. This may be the year national commercial digital radio arrives in Northern Ireland! Arqiva have dropped strong hints, and legal and technical barriers preventing an expansion into Northern Ireland have now gone - but we shall have to wait and see. Elsewhere, local DAB multiplexes are heading to Bedfordshire, Buckinghamshire and Hertfordshire plus Northamptonshire and Derbyshire courtesy of Arqiva and to NE Wales, Chester and Liverpool thanks to MuxCo. In the spring, the Competition Commission will have reached a verdict about the Global Radio takeover of Real and Smooth Radio. Real Radio is highly likely to be replaced by Heart, giving Global Radio a near national commercial station, but with the flexibility to offer local and regional targeted advertising. Smooth's future remains unclear, with punters in the industry not ruling out a merger with oldie station Gold. By the end of the year, the UK Government is expected to outline its position on whether or not a UK digital radio switchover should take place. Many more transmitters will need to be built and the quality of DAB broadcasts will need to be improved if critics of the planned switchover are to be silenced. By the end of February, all local TV licence awards are expected to have been completed. Last month, there had been concerns that the delay of the award of the local TV multiplex operator's licence would prevent local TV services from launching at all in 2013 - the delay in the award delays the installation of the relevant infrastructure by whoever wins the licence. All eyes are on London's local TV licence award. Hotly contested by numerous high profile media groups, it is seen as being potentially the most profitable of all the Local TV licences. Future plans to clear more of the UHF TV frequency band for mobile services may put the award of further local TV licences for new towns and cities in jeopardy - most local TV services are expected to launch on frequencies earmarked for clearance after 2018 under current Ofcom proposals and it is still unclear where local TV services might fit in - hopefully this year will give us some answers! The problem for the BBC/C4/Arqiva 600 MHz proposal is that Ofcom is not allowed to just issue multiplex licences to Arqiva. Under the Broadcasting Act 1996 it must advertise any multiplex it intends to licence.